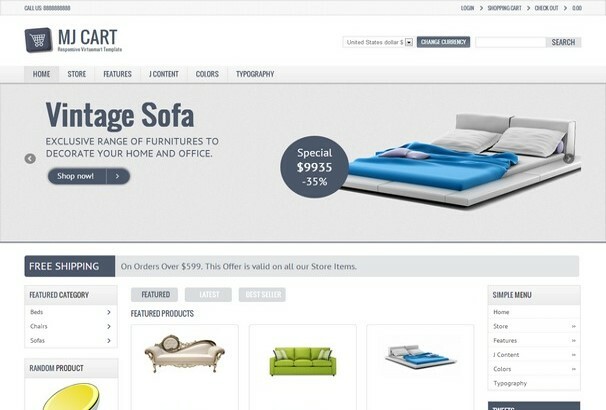 Virtuemart is completely Free eCommerce component for the Joomla CMS, Joomla is also free to download and install. Out of the box, Virtuemart has over 500 features to help you build a fully functional eCommerce store online, it’s also possible to extend it further with extra add-ons and you can customize the look of it with specially designed templates. 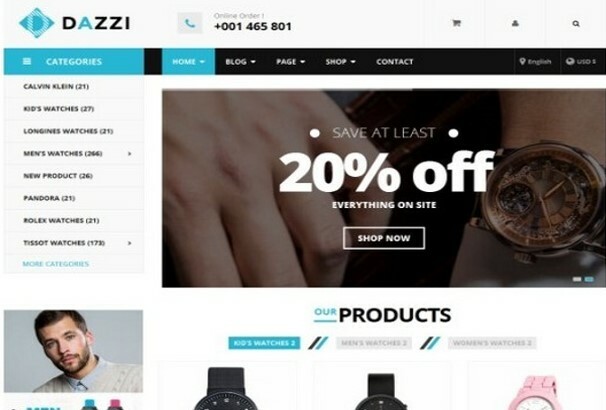 In this collection we have put together a list of over 50 professionally designed and developed Virtuemart templates which you can use to create a free online store. All the templates we have picked are responsive, which means they will adapt to your site visitor’s screen size to work on mobiles, tablets and also laptop and desktop screens. They are designed to be fast-loading which is important for eCommerce sites, any delay in loading could cost you a potential sale. They are also search engine optimized and easy to customize to fit your branding. Take a look below at the Top 50 Virtuemart Templates for 2017. 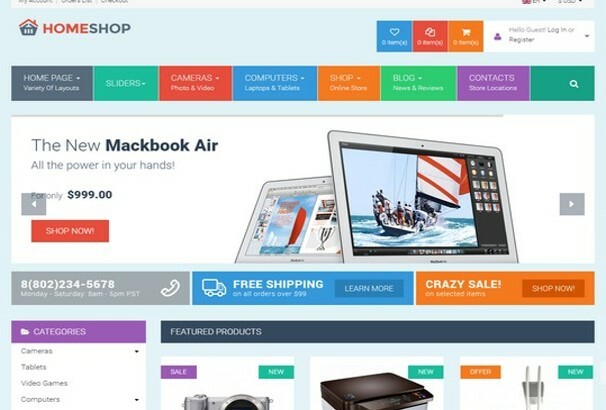 Fancy Shop is a VirtueMart website theme that is perfect for all sorts of e-commerce stores. The theme comes with an interface that is really flexible and is perfect for all sorts of products and content. In addition to that subtle interface the theme also comes with a number of amazing features including free extensions and customization options. Whether for a fashion, apparel, kids, jewellery or clothes store, the theme has everything that an e-commerce website theme should have. 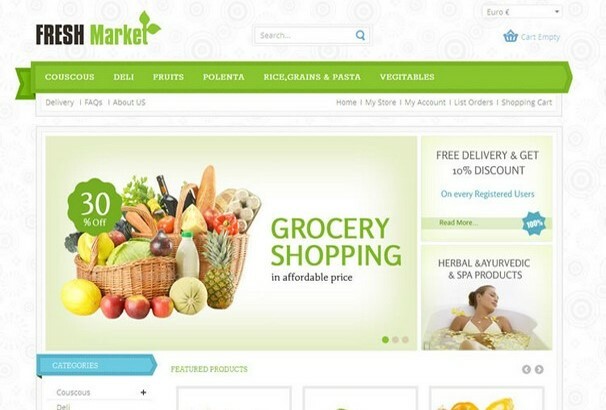 Fresh Market is a contemporary website theme that is perfect for online grocery or organic food shops. The theme is so modern and contemporary that you can even create your very own online restaurant. This VirtueMart theme comes with an amazing colour scheme that gives your website a really fresh and clean feel. In addition to that the sub pages for this theme are also really customized and give your website extra flexibility. Overall this theme has a really fresh and professional look that is perfect for all sorts of online stores. Modest is a really contemporary and chic website theme that is one of the most sophisticated ones we have. This VirtueMart theme has a really cool and hip interface that makes your website really charming and professional. Modest comes with a tile based interface that presents your content in a really stylish and professional way. The perfect theme for electronics, kids clothing or accessories, Modest has the perfect blend of style and efficiency. True to its name ClassyShop is really a classy and contemporary website theme. The theme comes with a really engaging and responsive interface. The main slider is utilized in a really practical way that allows you to display all your content in one place. In addition to that the theme comes with a number of free extensions and a few really organized and thorough categories. 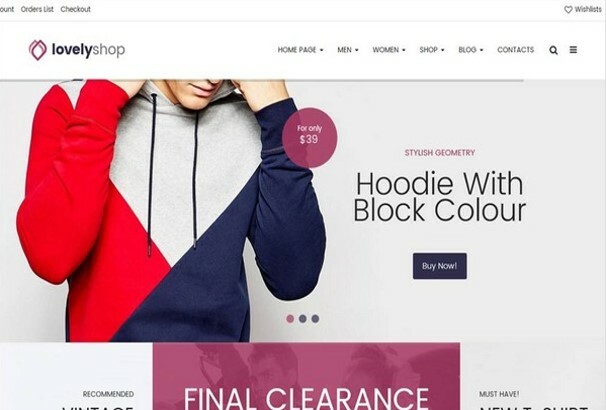 This VirtuMart Joomla theme is perfect for online clothing and apparel stores. Mandala is a really responsive and multipurpose Joomla theme that is promoted by the amazing VirtueMart 3 component. The theme has an excessively modern and classy design that makes use of the amazing slider to display all your information and categories. This theme comes with a lot of amazing features that allow you to create a thorough and complete website for your brand in very little time. Whether you’re selling clothes, electronics or accessories, Mandala is the theme for you. 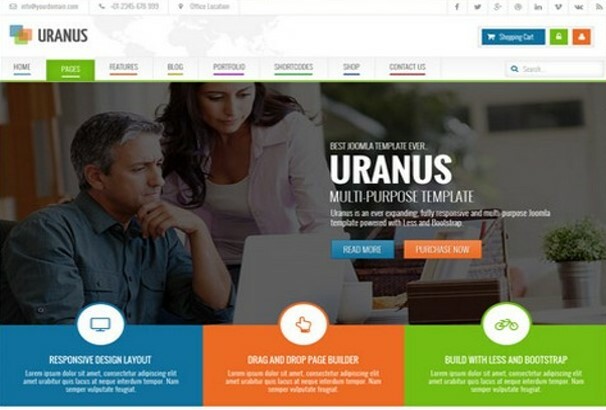 Uranus is a premium Joomla VirtueMart website theme that is built to provide users with maximum ease and professionalism. The theme is built on the latest Bootstrap 3 framework and truly helps you create an amazingly flexible and easy to navigate website without even touching a single line of code. The theme comes with a number of colour schemes that you can choose from. To add to the customizability the theme also contains a number of layout options that allow you to create your very own distinct website. With the mega menu, off canvas menu and responsive image slider the theme holds a treasure of features that help you create an amazing website. VirtueSell is an amazing VirtueMart website theme that is one of the most flexible and modern website themes that we have. This Joomla theme comes with an amazing interface that is highly engaging and responsive. The main slider allows you to make use of all the space efficiently and with a lot of practicality. In addition to that the theme also comes with a number of amazing features including an amazing main slider, the latest VirtueMart version, custom modules and 16 different layout positions that allow you to customize your website however you like. Nayax is a really contemporary and creative website theme that is so flexible that it is perfect for all sorts of content. Whether you’re selling products or services, the theme is highly multipurpose and is perfect for a business website. The theme comes with a really modern and professional interface that gives your website a really clean and friendly look. In addition to that theme is really easy to edit and is based on clean code. The theme is created to ensure maximum user friendliness and professionalism that is perfect for all sorts of websites. Matrix is a professional responsive Joomla template inspired for any retail online stores from fashion store to technology store. Matrix based on YT Framework v3 and the latest version of VirtuemMart. It provides lots of functional extensions and trendy features: Mega Menu, Countdown Timer, Product Quick View, RTL language, 65+ useful Shortcodes built-in, boxed layout. 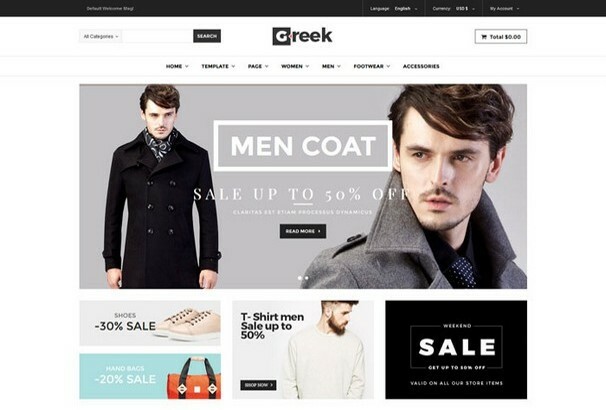 Vina Greek is a VirtueMart 3 website theme that is ideal for online fashion stores. The theme has one of the most responsive and engaging designs to help you create an amazing online store. In addition to that the theme is also optimized to run with a really high speed on all devices and screen sizes. Combining the elements of news sites and e-commerce sites, this theme gives you a layout and functionality that is unique and creative. 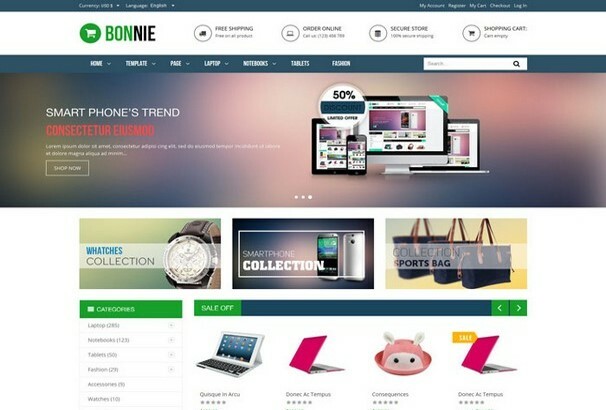 Vina Bonnie is a really professional premium VirtueMart 3 template that allows you to create a dynamic and multipurpose online store in very little time. The theme comes with a really engaging and subtle interface that displays all your products and information in one place. In addition to that the theme also comes with a lot of amazing features and options that every e-commerce website should have. With unlimited colour schemes, four preset colour, four different homepage layouts and the Helix II framework, the theme helps you create a really fantastic website in no time. 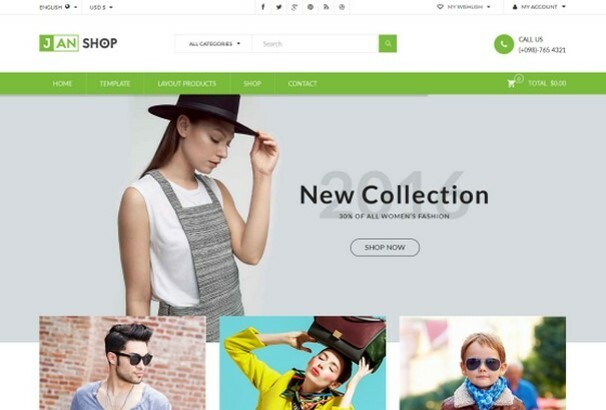 ShoppyStore is a VirtueMart website theme that is loaded with features and allows you to create a really amazing website in no time. The theme comes with three different homepage layouts and is built on the powerful Bootstrap 3 and YT framework V3 technologies. 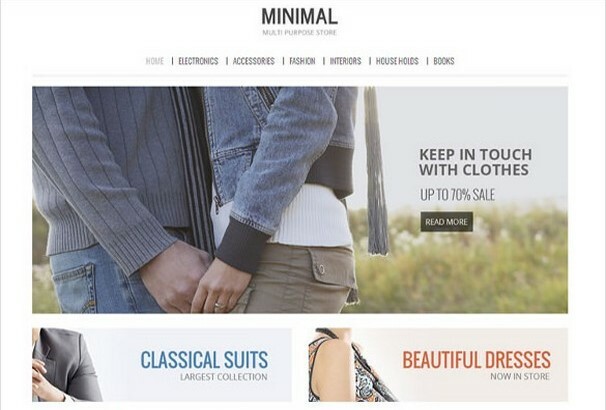 The theme helps you create a really fantastic website for your store in very little time. The main slider displays all your products and information on the homepage which makes the website really easy to navigate. 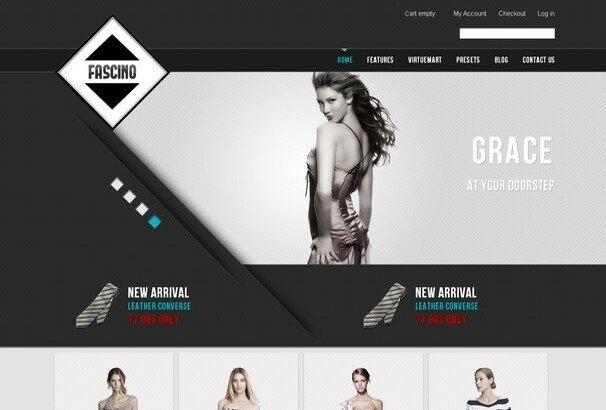 Fascino is a really classy contemporary website theme that is ideal for online fashion and clothing stores. The interface has a really classy design from the main banner to the product photos, each and every thing on your website is highlighted and displayed in a really appealing way. The theme comes with four different colour presets that you only have to add to your website to alter. In addition to that Fascino has a really creative slideshow option, a number of layouts, very flexible backend, three different ready demo shops and dynamic shipment options as well. Built on amazing technologies like the VirtueMart 3 and Joomla CMS the theme also comes with a fast loading compiler and a really fast quick start package. True to its name Minimal is a really simple and minimal website theme with elegant colour scheme and a typography as well. 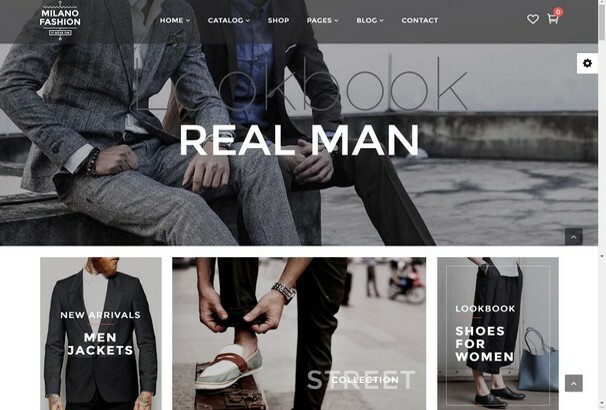 The theme comes with a really creative homepage that makes use of a tile based design and displays all your product categories with style making this theme an amazing choice for clothing and apparel stores. This VirtueMart template comes with customized sub pages and is optimized to run with a really fast speed on all devices and screen sizes. 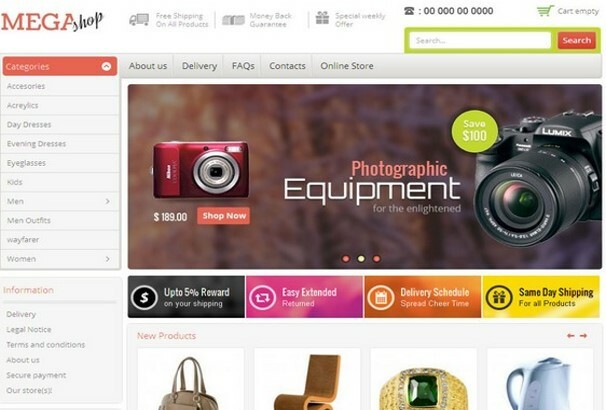 Vina JanShop is a really flexible and dynamic e-commerce Joomla 3.5 theme. The template comes with a really lively and creative interface that makes amazing use of negative space and employs quirky colours to make your content stand out. The theme includes two different amazing homepage layouts with each containing 3 preset colour schemes. 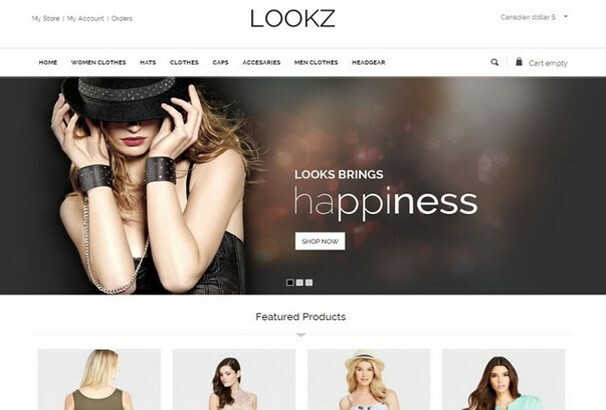 It also contains four different box layouts that makes this theme a perfect option for online cosmetic, apparel, fashion and even a multipurpose store. 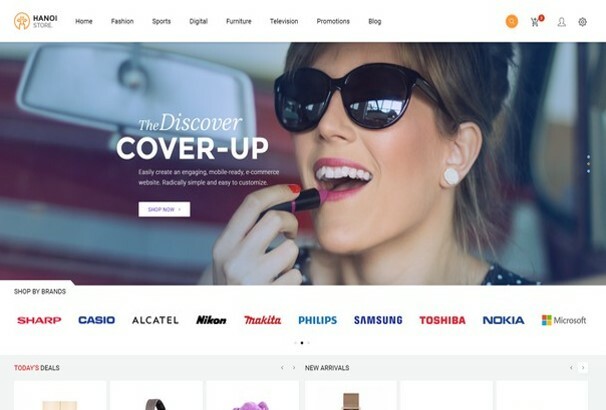 Vina Dazzi is a really professional and creative website theme that features a really clean and flexible interface that presents your products with a lot of professionalism and style. The theme also comes with a lot of amazing features including a really responsive layout. Not only is the theme crossbrowser compatible it is also optimized to run with an amazing speed on all devices perfect for fashion stores or watch stores in particular. Pisces is a really creative and unique Joomla VirtueMart theme that is ideal for you no matter what you’re selling. The theme comes with four different styles for four different stores separate for flowers, furniture, toys and sports. For each sport style the theme comes with a really appealing colour scheme and lively imagery which gives your website a really summery and light feel. 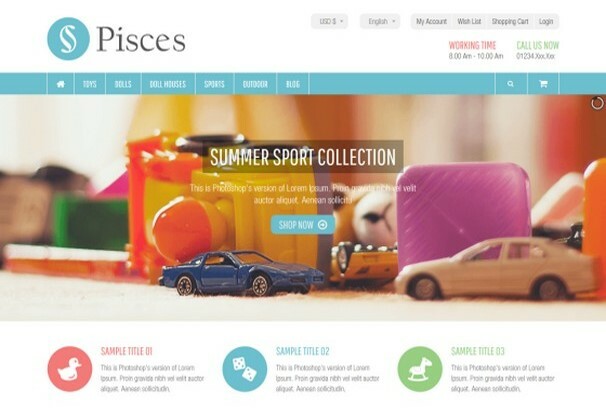 Pisces in addition to the design also comes with a lot of amazing features including Ajax products filter, Ajax VirtueMart category search, VirtueMart products wishlist, drag and drop builder, mega menu, multi-language support, RTL langauages, newsletter function, Akeeba backup and six different powerfil extensions from VinaGecko.com all of which combine to help you create a really amazing e-commerce store that really helps you build a fan base. 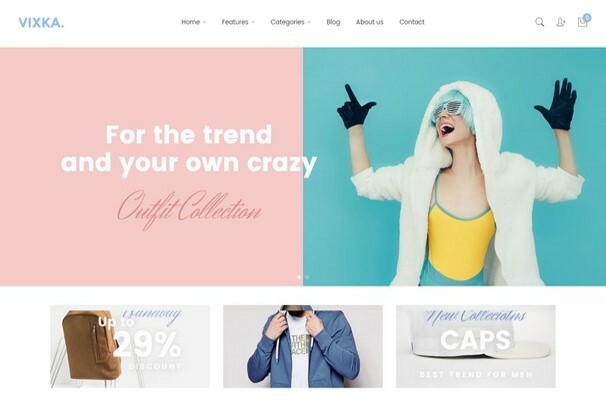 HanoiStore is a really fashionable Joomla template that comes with a really engaging interface as well as a lot of amazing features. 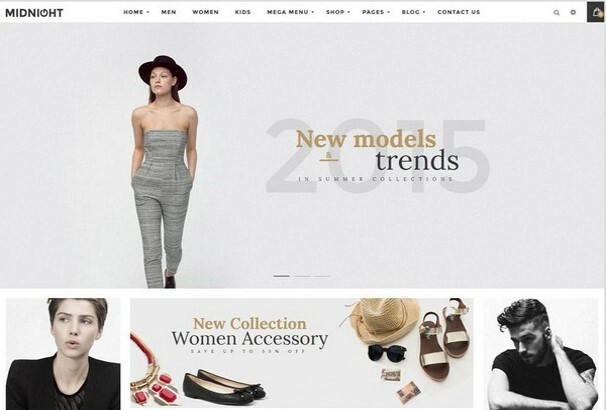 Whether you’re selling electronics or clothes, HanoiStore helps you create a fantastic website in very little time. Not only does this theme have one of the most responsive layouts it also comes with multi screen display, three different homepage options and organized headers to help you create a really amazing e-commerce store. 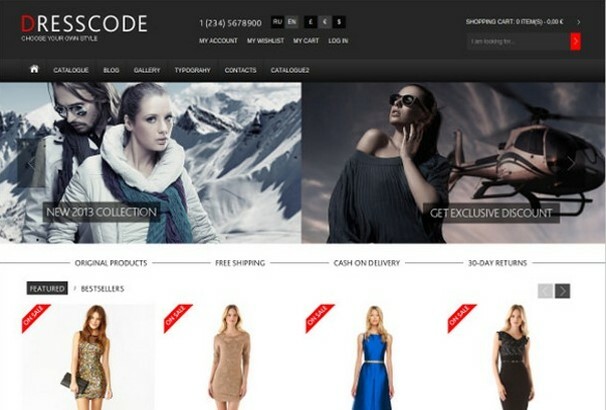 As evident from the name Dresscode is a VirtueMart template that is ideal for online fashion and apparel stores. The theme comes with a really creative and engaging tile based interface that displays your brand and the products all in place with a lot of style. With a classy colour scheme and sleek font style, Dresscode and its retina ready design is bound to please viewers. In addition to that the theme features a creative design, custom modules, galleries, blog section and social media sharing buttons as well. 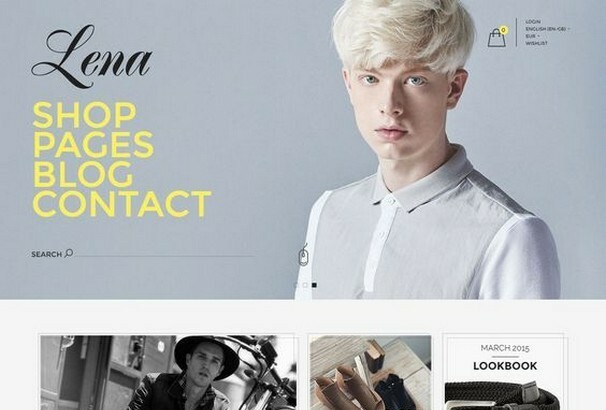 Looks is a stylish and creative website theme that is designed particularly for fashion, apparel and accessories stores. 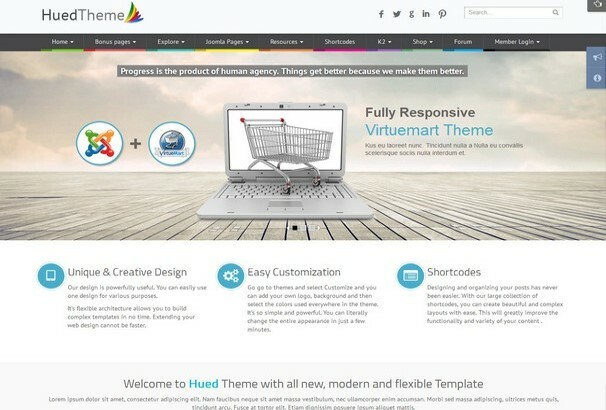 This VirtueMart theme is the perfect blend of style and practicality. The theme comes with a really sleek interface that displays your products and product categories with a lot of style. With a classy colour scheme, the theme also holds customized sub pages and gives your website a really professional and stylish look. 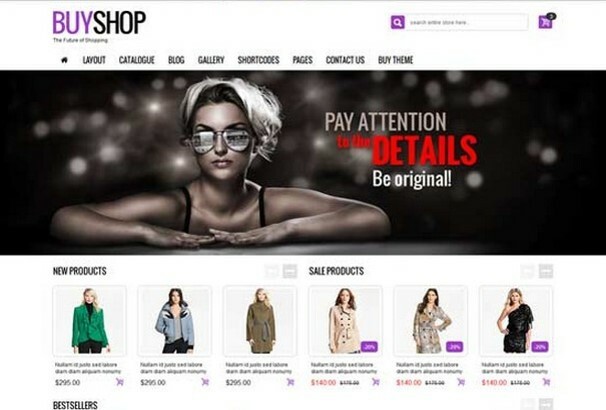 LovelyShop is a really creative premium website theme that is perfect for all sorts of e-commerce website theme. 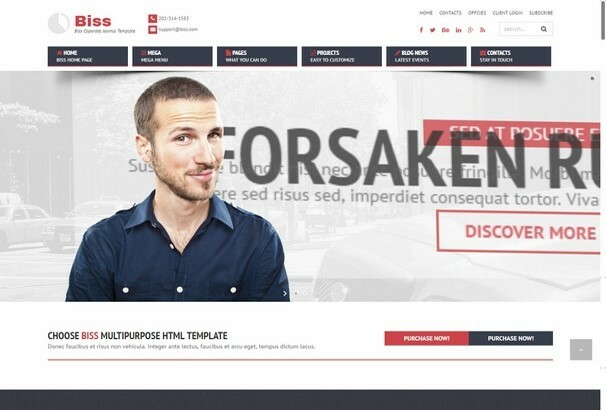 The template comes with a really amazing and responsive layout. Built oon the T3 framework and also includes the Bootstrap, LESS, ThemeMagic setting panel, mega menu, smart search, SEO tools and a revolution slider. The theme comes with three different layout options and contains multi language and multi currency options. To provide your users with the ultimate shopping experience the theme also comes with a wishlist, product comparison, shopping cart, price filter, grid view and an ajax drop down option as well. To make the website all the more thorough the theme also comes with social media sharing options as well. Nation is a really creative and unique website theme that helps you create an amazing e-commerce store without having even a bit of code knowledge. This Joomla template comes with a really responsive interface that has a simple and minimal design. For fashion, accessories, clothing stores or even photographers or artists, Nation is so flexible that it suits all sorts of products and content. The theme comes with amazing slideshows, more than fifteen one page variations and multipage variations. The them also comes with 200+ valid pages and different sections for blog and portfolio. Using different elements that this theme comes with you get to create a unique and individualistic website without doing any of the work. 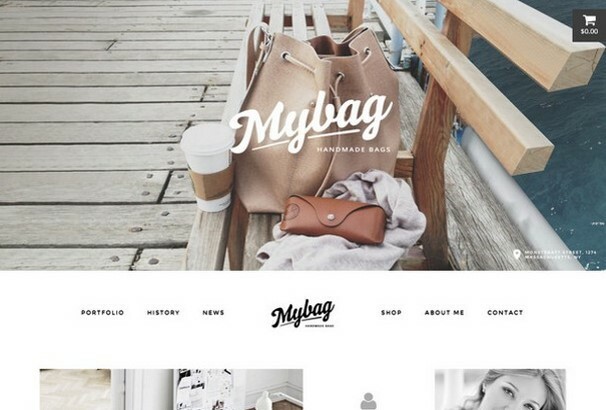 This simple and minimal website theme is perfect for all sorts of content and products. The theme comes with a really professional designs and presents your content and data in a really organized way. Perfect for all sorts of online stores this Joomla template is optimized to run with an amazing speed on all devices and screen sizes. 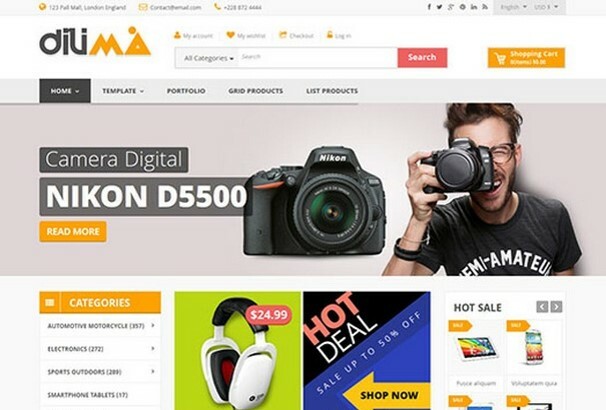 Mega Shop is a VirtueMart theme that is perfect for all sorts of content. Whether you’re selling electronics, home accessories or even a mega store, this theme is perfect for everything. The interface comes with a really responsive interface and features a really amazing colour scheme as well. The sub pages for this website are really customized which gives your website a really professional and subtle look. Lena is a really sleek and professional website theme that is perfect for all sorts of products and content. 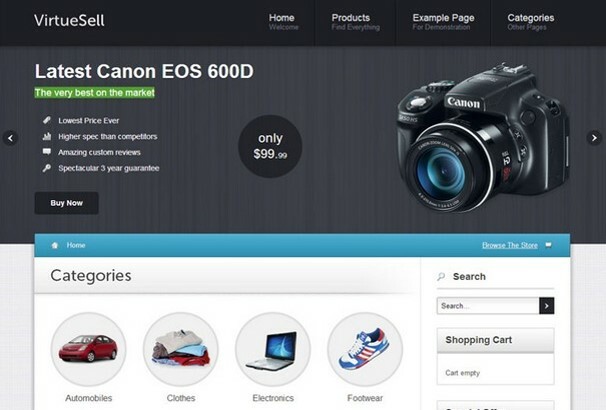 This theme allows you to create an online store for anything be it electronics or mega stores. The theme features a really elegant interface that makes use of modern colours and organized headers. In addition to that the theme also comes with a number of amazing features including a sidebar footer and header builder. The theme is really easy to install and set up using the Real Quickstart installation process. This Joomla 3.x template comes with a number of extensions and custom customization codes as well. HuedTheme is a really responsive and contemporary website theme that helps you create an amazing website in very little time. The interface is really responsive and clean and helps you display your products and information in a really sleek and organized way. 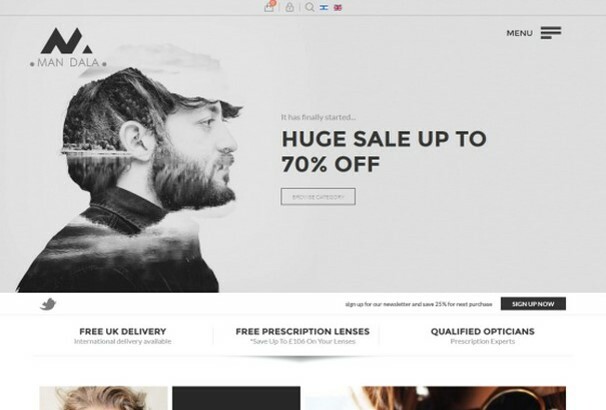 Built on the powerful HTML and CSS3 technologies, HuedTheme allows you to set up a dynamic e-commerce theme without even any knowledge of code. With more than 70 module positions the theme helps you create a really flexible website that is really easy to customize. The theme features google fonts and is optimized to fit all screen sizes and browsers. Marvel s a really sleek and responsive Joomla 3 theme that helps you create a really dynamic and stylish website in no time at all. 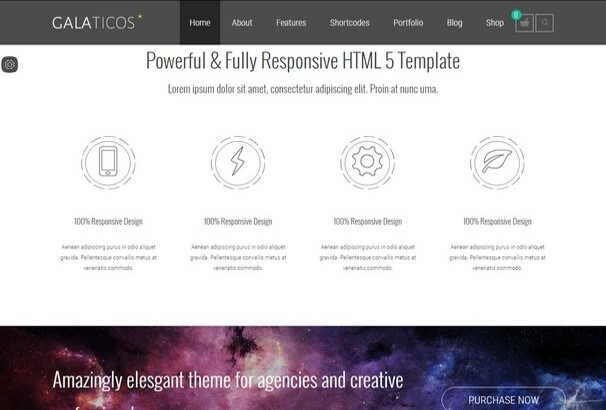 The interface is so flexible that using this theme you can sell pretty much anything on your website. Particularly suited for fashion stores the theme features an amazing collection of products and organized headers as well. With a mega menu and mobile menu this theme also comes with Ajax Off/Canvast cart, quick view for products, six different home and shop pages and a really fancy price table as well. 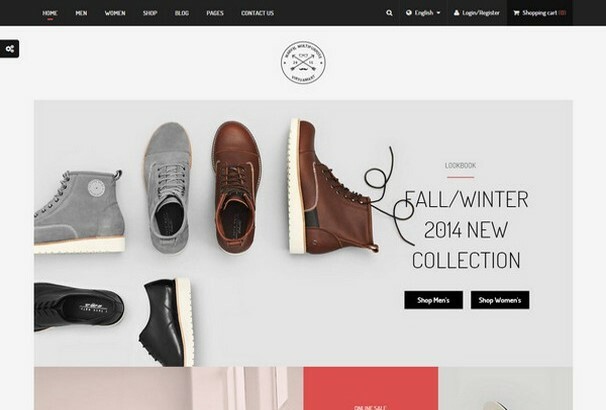 MidNight is a really creative and impeccable website theme that is perfect for online fashion stores. The theme features a retina ready and creative interface that makes your website look really charming and stylish. The home page displays your products and information in a really stylish way that makes navigation really easy. In addition to that this VirtueMart theme also comes with a lot of amazing features including a multipurpose professional template. 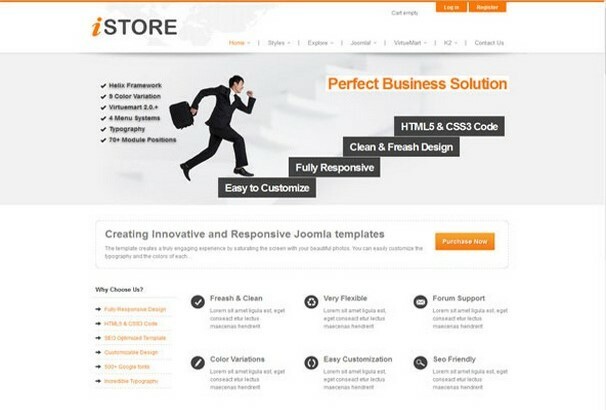 Istore is a really professional and contemporary website theme that is perfect for all sorts of business websites. Built on the HTML5 and CSS3 technologies this theme comes with a really responsive slider that displays all your information in one place with style and efficiency. In addition to that the theme also comes with a lot of great features including multiple layout options, more than 70 module positions with full width control. The theme comes with google web fonts and an easily customizable logo. 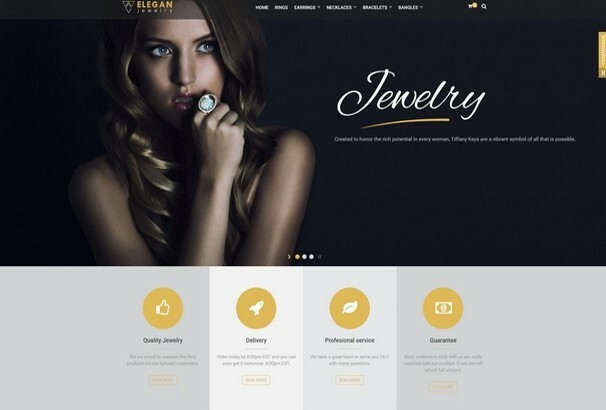 Elegan is a really contemporary and stylish website theme that is perfect for all sorts of retail stores. Whether you’re selling jewellery, clothes, accessories or even furniture, the theme is the perfect fit for you. Elegan comes with a really sleek and responsive interface that gives your website a really classy look. The theme comes with a number of different header layouts that you can choose from. It also features a mega menu, a revolution slider, ThemeMagic, product filtering wishlist and compare, three different layout options and a quick view option all of which combine to give your users the ultimate shopping experience and easy website navigation. As one would assume from the name, HomeShop is a website theme that is perfect for home shops and multipurpose online stores. Designed to be the perfect theme for all users, the theme features a really flexible and contemporary design that highlights your products and makes them appealing. 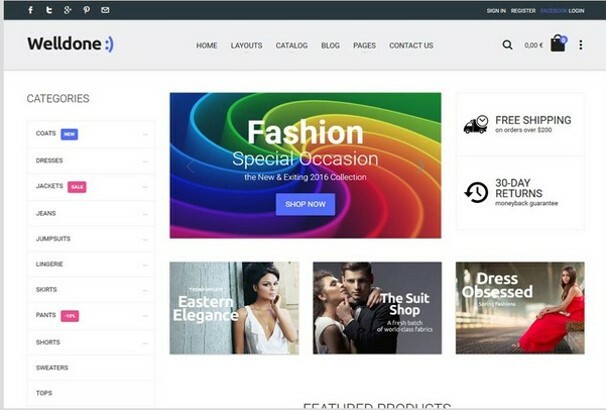 The theme provides your customers with an amazing shopping experience due to the different header options, mega menu, revolution slider, ThemeMagic and three different homepages. The product filter search option, wishlist, product comparison and quick view combine together to give your users a really convenient shopping experience. Vina Dilima is a really efficient Joomla 3.4.5 template that also makes use of the amazing Helix 3 framework to create a really amazing website in very little time. The theme comes with four different layout options that allow you to create a really flexible and dynamic website for yourself. 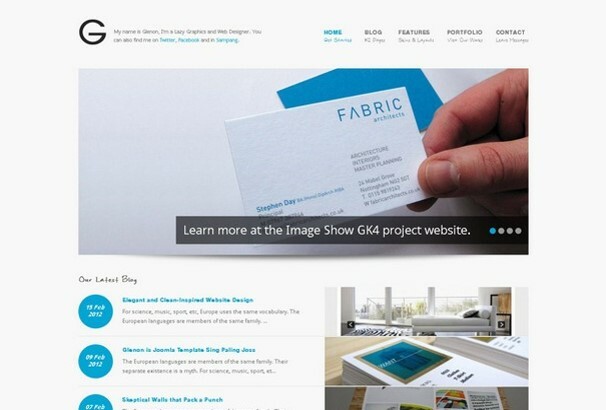 In addition to the separate pages the theme also allows you to combine all homepages to create a unique interface. 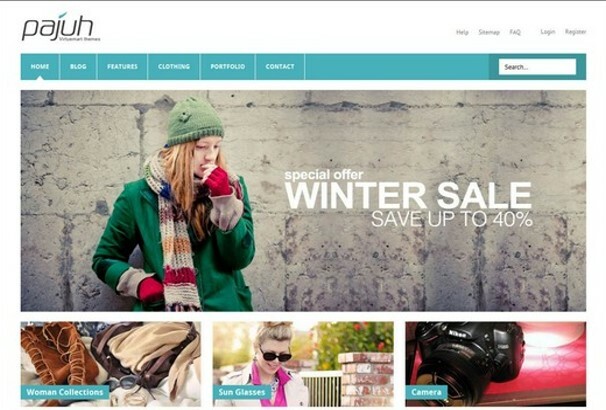 This theme is so flexible that it is perfect for all sorts of stores and content. 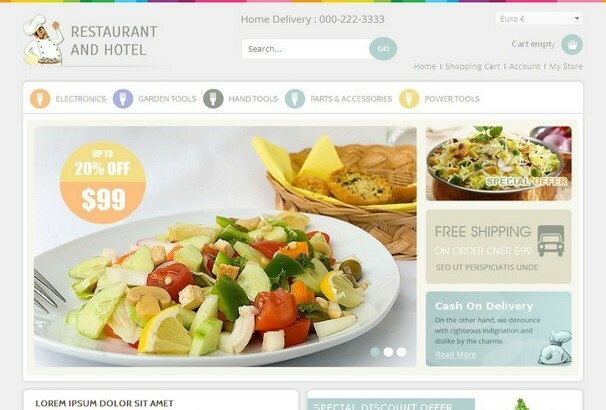 Restaurant is the ultimate VirtueMart Joomla template for food, grocery and online restaurants. The theme comes with a really fresh, clean and lively interfae. With elegant designs and imagery the theme appeals to the aesthetics of your viewers. In addition to that the sub pages for this theme are customized and help you create a really efficient and fantastic website for yourself. Melleh is a really simple, elegant and multipurpose Joomla theme that is perfect for all sorts of online stores. The interface is really unique and contemporary and highlights your products with elegance and charm. In addition to that the theme is also highly professional and comes with a lot of amazing features that make your website really unique and professional. Welldone is a really unique and stylish multipurpose website theme that is perfect for all sorts of brands selling all sorts of products. The theme comes with a really engaging and responsive interface that makes use of the main slider and allows you to organize your content with style and professionalism. In addition to that the theme is also really professional in the features that it has and makes navigation and shopping really easy. 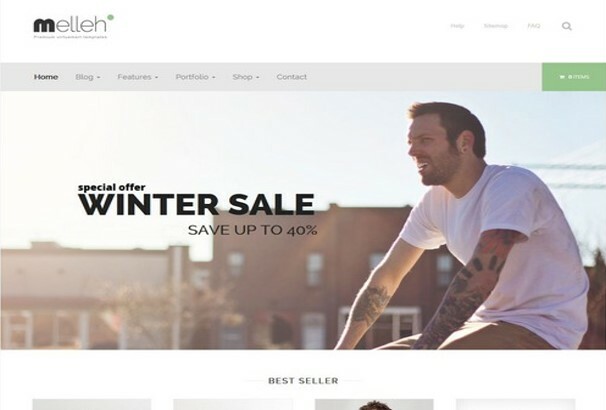 BuyShop is a really sleek and contemporary Joomla VirtueMart theme that is perfect for all sorts of online stores particularly fashion and clothing stores. The theme comes with a really stylish and charming interface that highlights your products and makes them stand out. In addition to that the theme also comes with a lot of amazing features that allow your users to enjoy a fantastic shopping experience. Struct is a multipurpose and responsive Joomla template that is the ultimate theme for construction or architecture related content. Whether you’re a business or an independent worker, Struct allows you to create a highly professional and fantastic theme in no time. The interface is really engaging and responsive and shows your visitors what your website is all about. Spa and Beauty is the ultimate VirtueMart website theme that is designed particularly for spa and beauty related content. Whether you’re a spa owner or you’re selling products that are used in spas or wellness centres. Built on the powerful Helix 3 Framework the theme comes with four different layout options, a component page builder and an amazing drag and drop builder as well. The best thing about this theme is that it is optimized to run with a high speed on all devices and screen sizes and helps you create a charming website without any work. Biss is a really contemporary and creative Joomla website theme built with Azura, a really powerful Joomla Pagebuilder version 2.2, the theme is one of the most practical and highly efficient themes that we have. The theme comes with more than forty built in elements and more than fifteen page elements that allow you to create a really amazing and contemporary website in very little time without having to do any of the work. 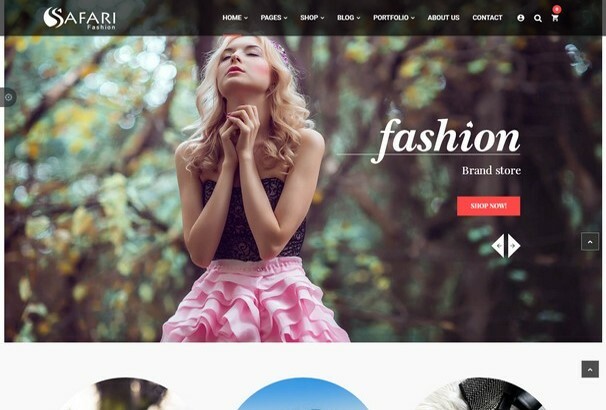 Safari is a really responsive and contemporary Joomla template that helps you create an amazing website for your brand. The theme is powered by VirtueMart and has a really elegant and sleek interface that gives your website a really cute and contemporary look. The theme is so flexible that it can be used for any sort of content. The theme with JV framework includes Bootstrap and LESS as well. To provide customers with the ultimate shopping experience Safari also comes with a parallax background, mega menu module, Ajax drop down cart, wishlist and product compare option as well. Gold is a really sleek and stylish template that is perfect for all sorts of online stores. The theme comes with a really responsive and creative interface that displays your products ith a lot of charm and style. The theme comes with a really speedy installation process and the website can be setup in very little time. The theme is also optimized to run with a lot of speed on all devices and screen sizes. Gold also comes with a really strong and powerful backend that makes the creation and management of the website very easy. Mj Cart is truly one of the fastest and most professional Joomla themes that we have. The theme comes with a really sleek and responsive interface that displays your products in a really stylish way. 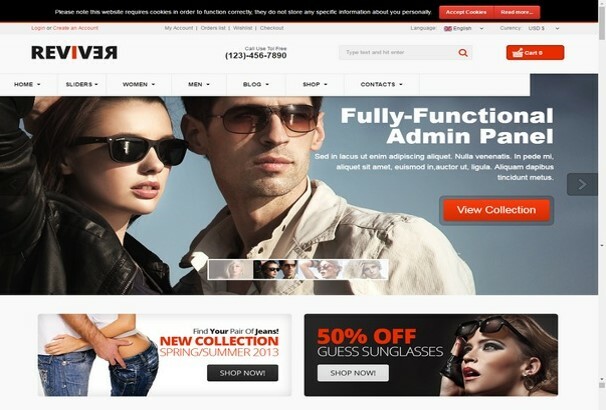 Built on the Joomla 3.0 and VM 3.0.X frameworks, the theme is perfect for online multipurpose shops. The theme is really organized and categorically displays your products and services with a lot of style and charm. Henry shop is a really flexible and contemporary Joomla template that is the perfect combination of style and practicality. 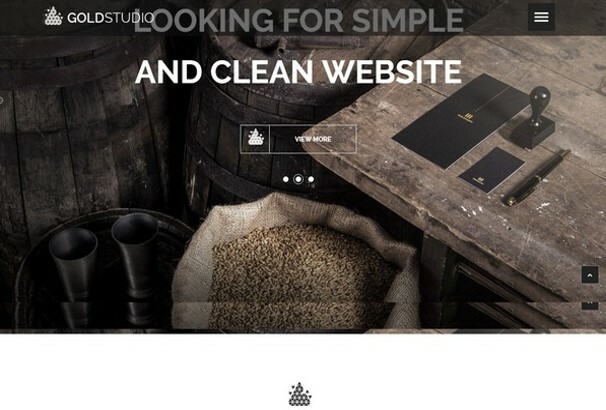 The theme comes with a really unique and classy interface that displays your products with a lot of style. Using the Plazart framework this theme allows you to display your content on all devices and screen sizes. The theme comes with a retina ready slider that displays your products and information in a really smart and intuitive way. Pajud is a really creative and modern VirtueMart website theme that is the ideal option for clothing and multipurpose stores. The theme comes with a really clean and structured interface that has a cool and hip design. Built on the powerful T3 Joomla framework this theme comes with a number of options that help you create a unique website including five different colour options, a slideshow model, module positions that are easy to customize, a newsletter plugin and selected extensions. VIxka is a really professional and creative VirtueMart theme that is the ideal theme for your regardless of what you are selling. The perfect theme for fashion and clothing stores, this theme makes use of a grid based interface that displays your products with style. The theme features five different unique home pages with each page design as unique and responsive as the other. In addition to that the theme also is optimized to run with an amazing speed on all devices and screen sizes. 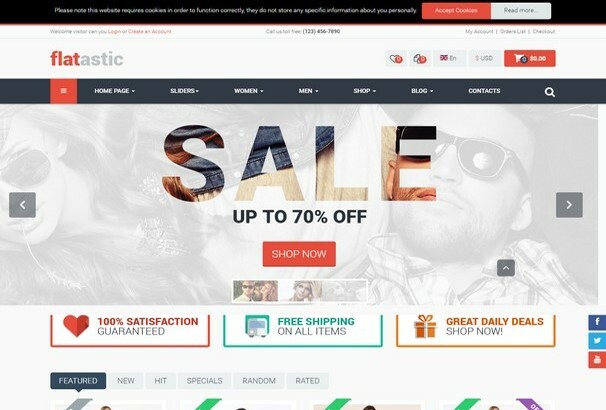 Galaticos is a really modern and contemporary website theme that is perfect for all sorts of online stores. The interface features a really contemporary galaxy design and also comes with elegant typography and font style. In addition to that this HTML 5 theme also comes with a number of amazing features including a blog, shortcodes, easy navigation, filter search and a drop down cart option as well. Flatastic is a really responsive and professional website theme that is so flexible that it is perfect for any e-commerce website. The theme not only comes with a really engaging interface, it also makes amazing use of the main slider to display your products with style and charm. In addition to that the theme is built on the Joomla 2.5x and T3 framework and includes the Bootstrap and LESS technologies as well. This flexible theme comes with six different layout options, two different revolution and camera slider, a mega menu, smart search and SEO tools as well. Not only that, the theme provides your customers with an amazing shopping experience due to the multi-language and currency options, wishlist, product comparison, ajax drop down shopping cart, a grid view for products, price filter, product zoom, lightbox and item navigation as well. 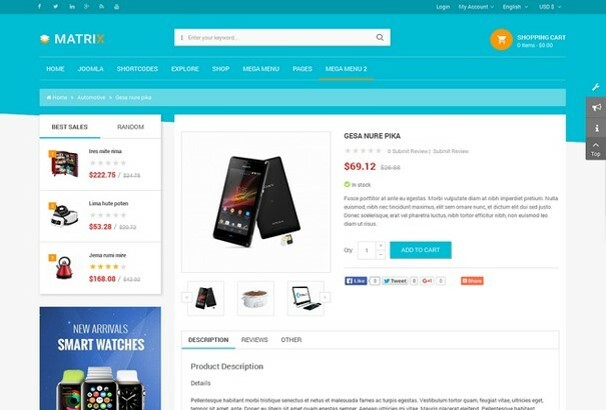 Reviver is a premium multipurpose VirtueMart website theme that is perfect for all sorts of e-commerce website themes. The theme comes with a really responsive and engaging interface that highlights all your products and services. The main slider displays all your products and services in one place and engages all your customers and visitors. Built on the Joomla 2.5x framework the theme also comes with the Bootstrap and LESS technologies. The theme also comes with SEO tools a mega menu and a smart search option as well. With seven different layout options, three different revolution slider, flex and camera sliders and multi-language and currency support, this theme helps you create a truly dynamic website. With a wishlist, product comparison, ajax drop down cart, price filter, list, grid view of category pages, product zoom in and lightbox Reviver helps you provide the ultimate shopping experience for your website. Luxury is a really responsive and contemporary website theme that is perfect for online fashion, clothing, apparel and accessories stores. This theme has a really sleek and engaging interface that highlights your products with class and grace. In addition to that the theme is really easy to navigate and makes shopping really easy and fun for all your customers. In addition to that the theme also comes with a lot of great features including contact information, shop section, blog and a revolution slider. 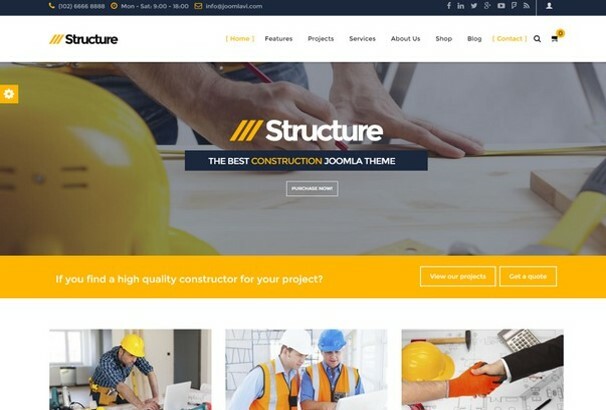 Structure is a really unique and creative Joomla website theme that is perfect for construction companies and agencies. The theme comes with a really responsive and engaging interface that displays all your information and services very clearly and professionally. In addition to that the theme comes with eight different present colours, five different homepage layouts, a blog section and a really thorough shop section that help you create a really flexible and professional website without even touching a single line of code. 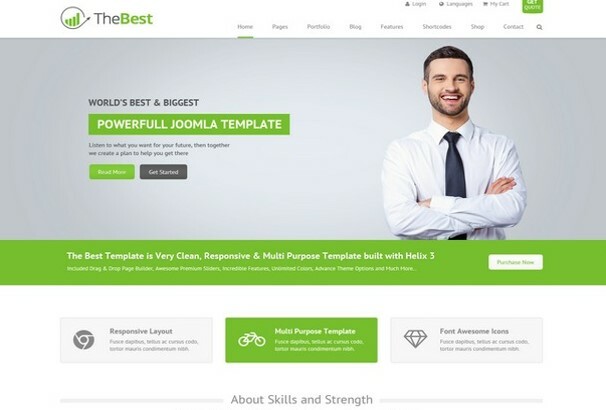 With its high flexibility, professionalism and ease of navigation, TheBest is truly one of the best Joomla business themes that we have. This template makes use of a clean and fresh colour scheme and gives your website a really lively feel. In addition to that the theme comes with a powerful drag and drop builder and the page builder that makes it easy for you to create a really distinct and unique website. With amazing animations and really catchy layouts the best will help you create a website that is aesthetically pleasing and highly practical in very little time. 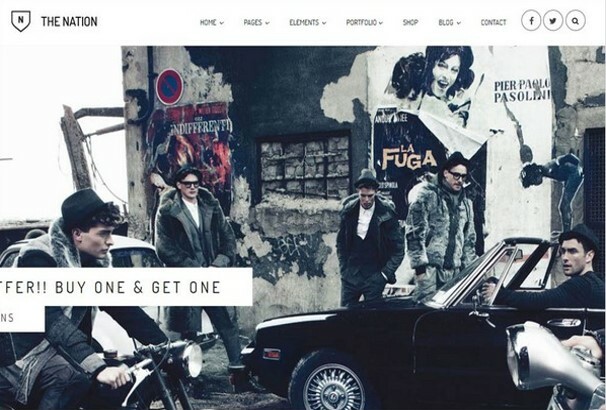 Milano is a really stylish and sleek website theme that is perfect for online fashion and clothing stores. The theme comes with a gird based classy interface that displays your products with a lot of style and adds an extra appeal to them. This Joomla interface comes with a number of homepage options, a blog section and a clean and responsive interface to make website navigation easy. In addition to that the theme is built on the Helix3 framework that includes the Bootstrap and LESS technologies as well. With a mega menu, off canvas menu and multi-languae and currency options Milano is a really complete website theme. In addition to that the theme provides customers with an amazing shopping experience with the Ajax cart, wishlist, product compare, quick view and product scroller option as well.